CINCINNATI — When Howl at the Moon and Splitsville Luxury Lanes opens Friday at the Banks, it will ring familiar for Greater Cincinnati residents of a certain age. 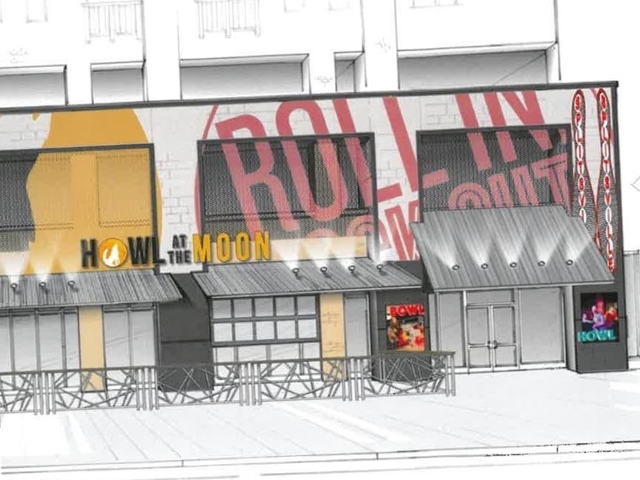 “We have customized murals and paintings that will remind people of the Howl at the Moon that opened on Covington’s riverfront in the 1990s,” said Sarah Bambauer, sales and events manager for the new space at 145 E. Second St., which formerly housed Toby Keith's I Love This Bar & Grill. Nods to the past include painted signs for Ben Bernstein and Son’s and BB Riverboats — two businesses that once docked at the end of Madison Avenue in Covington where the original dueling piano bar was located. There also will be a mural on the outside of Howl at the Moon and Splitsville, a first for any business at the Banks. Like the previous incarnation of Howl at the Moon, two glossy black pianos will stand in the front of the space, where musicians will perform for guests. New updates include eight bowling lanes, 22 high-definition televisions, two bars with 20 beer taps and a 1,000-square-foot outdoor patio facing Second Street. The menu includes sushi, gourmet burgers, pot stickers, mac and cheese bites, sliders, pizza, sandwiches, buckets of beer and mixed drinks served in “bones," tall plastic flutes adorned with piano keys. The not-quite-regulation-length lanes that occupy the back of the space are equipped with comfortable lounge seating, tables, electronic scoreboards and colorful lighting. The entire 16,000-square-foot venue is designed to be segmented for both full and partial takeovers from area businesses or private parties. The Howl at the Moon/Splitsville staff also can install up to seven buffet areas for corporate clients during those events. “We can completely move the tables and booths in the Howl at the Moon section,” Bambauer said. The dueling piano bar and bowling lanes will open at 4 p.m. Monday through Friday and 11:30 a.m. Saturday and Sunday. The dueling piano shows will start at 7 p.m. Wednesday through Saturday. 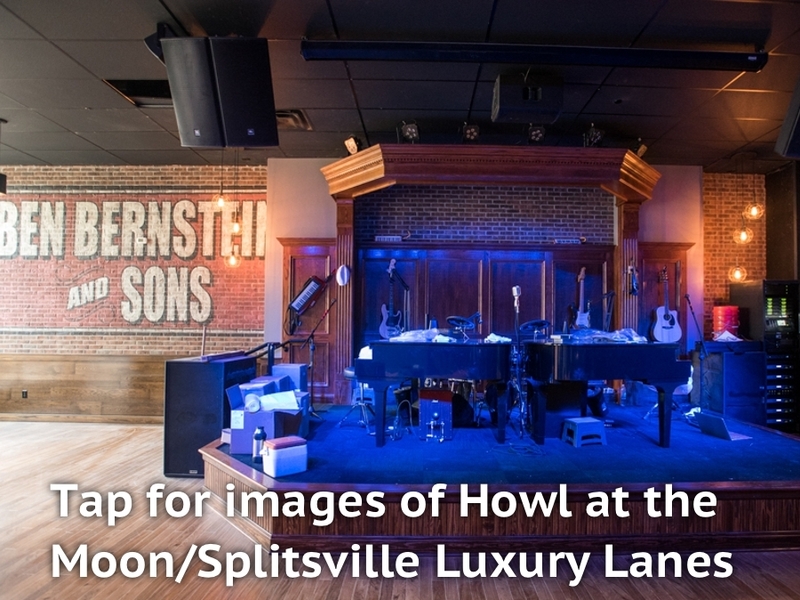 Howl at the Moon and Splitsville Luxury Lanes' grand opening begins at 6 p.m. Friday and continues at 6 p.m. Saturday. For more information visit the Facebook event page. Piano shows: 7 p.m. Wednesday-Saturday.